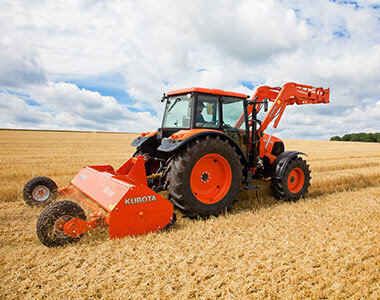 The SE7000 series comprises Kubota's largest and toughest grass and straw choppers for heavy-duty work on set-aside land and cultivated fields. 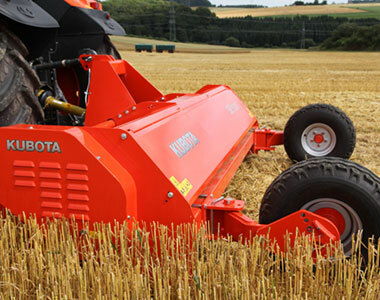 The SE7000 series chopper is indispensable on grass fields or for chopping straw, stubble and other crop residues after harvesting, but also very useful for fruit farms clearing scrub and tidying pasture. 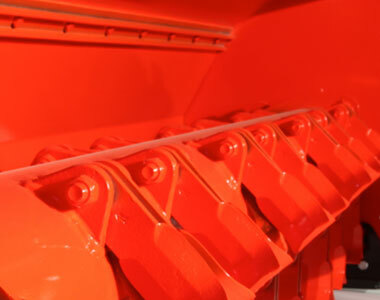 The SE7000 series is available in 4 working widths covering all different requests coming from farmers. Easy and minimal maintenance make the SE7000 series a profitable chopper. The SE7000 series can be equipped with different blade types in order to fulfil all customers' demands. 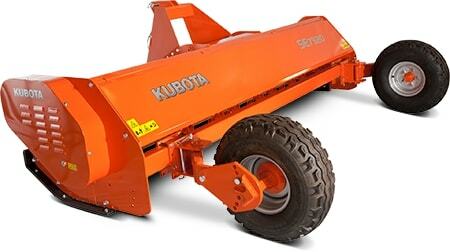 The skids are included in the standard configuration, wheels or roller are optionally available.